Thinning the Crown of a Mature Sycamore, with a Pembrokeshire Tree Surgeon. 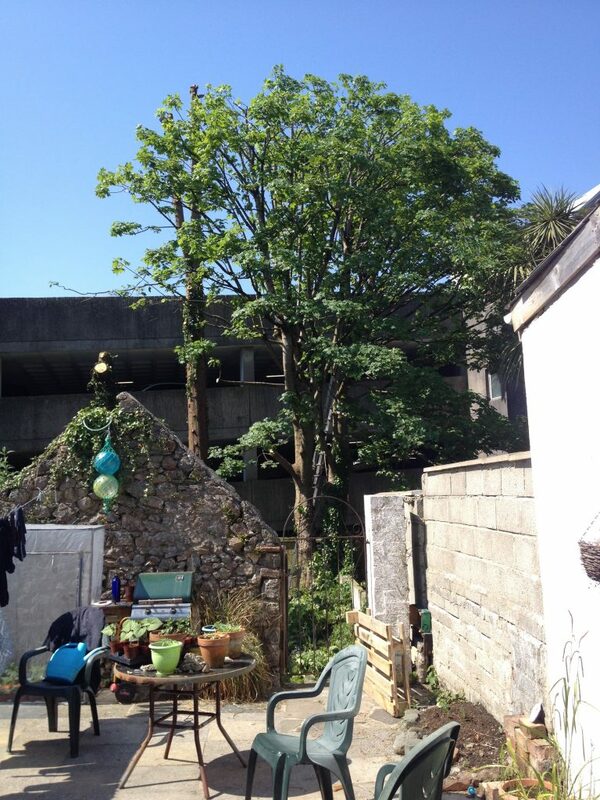 Sycamore (Acer psuedoplatanus), 22m tree thinned 20% and reducing the height by 3m. 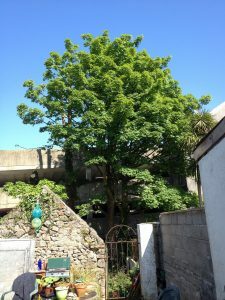 Thinning out brought the canopy back from the garden, letting more light in and maintaining a good screen/privacy from the multi-storey carpark. The canopy to the left is a little bare, from removing branches damaged from squirrels eating the bark to get at the juicy sugary sap flow. In the back ground is a stem from a 26m Leyland Cypress tree which we dismantled the day before. See Blog. 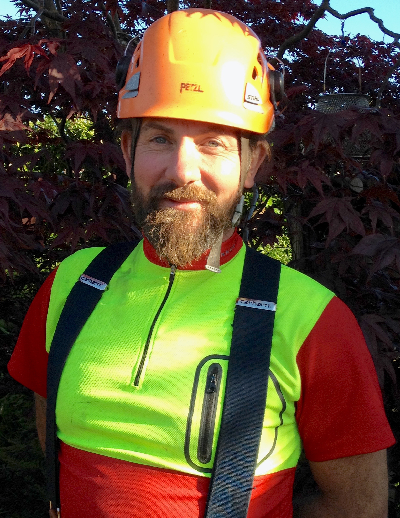 A Pembrokeshire Tree Surgeon – Arb-Aid. Works and Photo’s by Adrian Dowling.